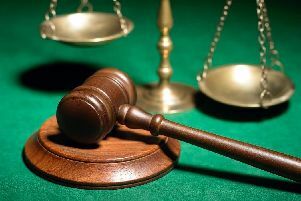 A West Yorkshire MP is calling for court closures to be halted and wants to see action taken to reduce the wait for justice. Wakefield MP Mary Creagh said the Government needs to guarantee people’s access to justice is not “eroded”, after it announced a further wave of court closures on Tuesday. Her comments also follow the publication of a draft report from West Yorkshire’s Police and Crime Commissioner Mark Burns-Wiliamson earlier this month, which showed the average time for a case to be resolved at Magistrates’ Courts in the county had risen to nearly 46 days in the 12 months to March 2018, up more than 10 days from the previous year. In the report, Mr Burns-Williamson said the closure of Calderdale Magistrates’ and County Court in Halifax and Wakefield Magistrates’ Court, which shut in 2016, was “impacting on the overall state of our criminal justice system”. Labour MP Ms Creagh said: “Access to justice is a right, and justice delayed is justice denied. “The Government has closed one in three courts in Yorkshire, meaning people are waiting longer and travelling further to get justice. In a written question to the Secretary of State for Justice, Ms Creagh asked whether there were plans to introduce a video link between Wakefield locations and Leeds Magistrates’ Court. MP Lucy Fazer, Parliamentary Under-Secretary (Ministry of Justice) said in response that the HM Courts and Tribunal Services was aware the county’s crime commissioner and West Yorkshire Police were investigating the potential for video link facilities.